The Cleveland Browns visit the Cincinnati Bengals in Week 12 of the 2017 NFL season. PFF previews the top player matchups of the game. The Cincinnati Bengals visit the Denver Broncos in Week 11 of the 2017 NFL season. PFF previews the top player matchups of the game. All of the PFF-exclusive takeaways from Week 9 in the NFL, and the Jaguars 23-7 victory over the Bengals. The Indianapolis Colts visit the Cincinnati Bengals in Week 8 of the 2017 NFL season. PFF previews the top player matchups of the game. PFF has analysis of all the important matchups to watch when the Ravens take on the Bengals. 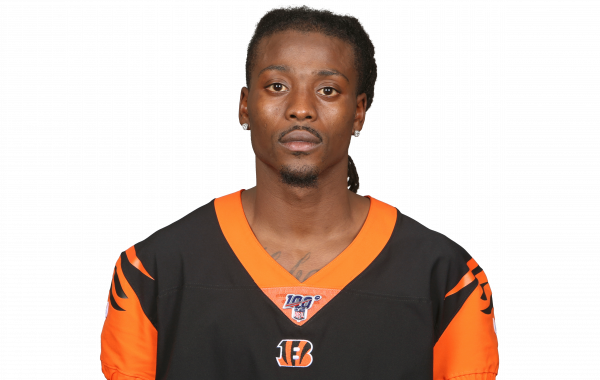 The Cincinnati cornerback saw his numbers rise sharply in 2016. He is dealing with a hand he broke earlier in the offseason. Which NFL CBs were best at defending specific passing routes in the 2016 season? Eliot Crist runs down the list.